Are you a follower, or are you a doer of the Word, or are you a disciple of Christ? If you asked this person who Jesus was, he/she would have the proper response, He was the Son of God. If you asked, “do you know Jesus”, he/she would not know what you were talking about! The “follower” of God goes to church on occasion and believes in God, but goes home and lives like anyone else in the world, and certainly does not help out in church. Being a “follower” of God is not a good place to be. Lets look at the “doer” of the Word, what and who is a “doer” of the Word? Well the “doer” is one who does what the Word says…at least part of what the Word says. The “doer” believes in God, knows who Jesus is and has some form of personal relationship to Christ. 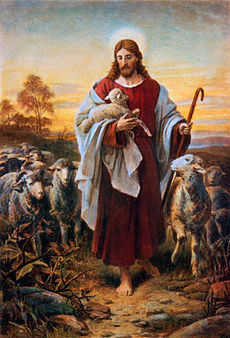 The “doer” is the one you see helping out at church, he/she tries to be good to others, treating them well. The “doer” of the Word is busy doing, not teaching, not leading, and not spending enough time in personal study of the bible to improve him/herself. The “doer” is not moving on to spiritual maturity. The “doer” is not a bad person or a bad “Christian”, but is lacking a lot in what Christ wants for him/her in life. If we are only doing…we are missing out on so many blessings that God wants to give us. Now lets look at the last category. Who and what is a disciple of Christ? A disciple of Christ does all that the “doer” does, and much more. A disciple is what God intended for all His followers to become. What makes a disciple of Christ? First a disciple of Christ does not mean you are perfect, or that you are ready to be an apostle…there were only a few of those! The disciple of Christ has a deep personal relationship with Christ. There is within a disciple the desire to please Christ and obey Him. There is a deep love present, a love that places Jesus first in their lives, and everything else second. A disciple most definitely is a “doer” of the Word, but at the same time does much more then that. A true disciple is also spending time in the Word of God on a regular basis, seeking to know God better, it is not about gaining more head knowledge, it is about getting to know the Lord better, and His will for him/her. The disciple is also moving on to advanced teaching in the Word such as found in Hebrews and Romans…moving beyond Jesus is God and He saved you by His sacrifice…although those are very important truths! Or how about Revelations? That is not a book for one who needs spiritual milk yet, it is however teaching that one should at some point be getting into and learning. Disciples are also teaching the Word of God, not just reading it, or doing it. Disciples are also teaching and sharing God’s Word with others, as in evangelism. Prayer also figures in as a big part of the life of a disciple. The disciple of Christ has an increasing desire to learn about God and to draw close to Him. Along with this desire comes the desire to reach others with the Word of God and to teach the Word to others. A disciple is striving to live a life that is defined by what the Lord wills, not what the individual person wills. As a disciple matures, he/she also begins to see more and more just how sinful he/she really is, and how holy and perfect God is. If you are a disciple of Christ, you are trying to live a life that pleases God in all ways, not some…all. Being a follower is a lot easier then being a doer or a disciple…at least until you find yourself standing before God and having to explain yourself and your actions…or lack thereof. If you are a follower…are you sure you are going to heaven when you die???? Being a disciple is hard, it is a lot of work, and it is a lot of responsibility. The rewards for doing so will be great in heaven. The rewards for doing so are pretty good right now. What rewards you say? Ever see that person in church who is almost always in a good mood no matter what happens? How about the one who always has a word of encouragement for you? Or how about the one who always finds time to ask how you are doing? The same one who leads the bible study and is willing to answer your questions and was the one who asked you to come in the first place? The one who suffers a serious personal tragedy and comes through that experience so well, and seems to you to have even grown stronger because of it? The person who is down in front taking time to pray with people? How about the one who serves in several ways in the church? That person is a disciple of Christ…that person you look up to…the one you would like to be like…yes that person is a disciple of Christ. So who are you…follower, doer, or are you a disciple? Who do you want to be? Is it maybe time for a change in your life? Maybe today is the day to re-think your position in Christ’s Kingdom. What do you think? 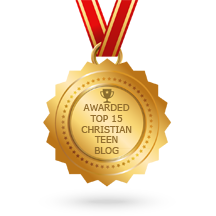 This entry was posted in CHRISTIAN FOUNDATIONS OF BELIEF, CHRISTIAN LIFE AND THE WORD, CHRISTIAN TEENS BLOGS and tagged Christ, disciple, Doer of the Word, follower, teaching, The Word. Bookmark the permalink. 14 Responses to Who are you anyway? This is such a very practical teaching on the differences between being a “doer”, a “follower”, and a “disciple”! Of course, the highest honor I can imagine receiving is to be called a “disciple” by my Father in Heaven! These are great insights, thanks for sharing them so well. You challenge me to be God’s person. I’m referencing your post today. Thank you for reading, and the link to my post I appreciate it! I’m confused. I know I posted a longish comment on this, but it isn’t here. I’m sorry I looked, I do not see anything. We’re certainly presenting a consensus here @ ChristianBlessings about the importance and value of Discipleship! AMEN! It’s a state of being, not a label. and it’s all-encompassing. It’s a progression – a follower (at the perimeter), a doer (in the outer courts), a disciple (in the inner courts) … may we aim to ever fulfil His Great Commission .. become and make disciples.. to be taught and disciplined by the Lord Himself.. what sweet fellowship with my Lord!